The Women's Havura at Northbrook Community Synagogue is a dynamic and eclectic group of women of all backgrounds and practice who come together to enjoy various programming opportunities and friendship building activities. Many of the members of the Havura are members of NCS, but membership to NCS is not required. In fact, women in our Havura span the Chicagoland area and are members at many synagogues. It is that diverse collection of friends that makes the NCS Women's Havura so special, welcoming and fun for all who attend. Our Havura is at the heart of synagogue life at Northbrook Community Synagogue for so many. We hope you’ll want to be a part of the Women’s Havura –where friendships are made and experiences shared. Please don't hesitate to reach out with questions or comments, or just attend an event. Our board of directors can be found below, and are happy to answer any questions you may have, or simply greet you with open arms. The next event will be posted shortly, thank you to all who made the bingo night awesome! 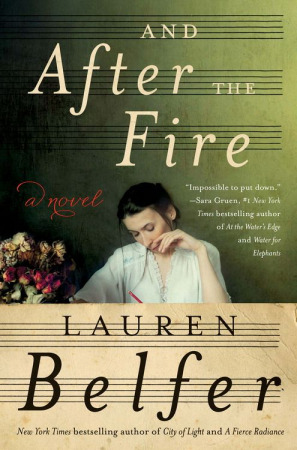 The New York Times best selling author of A Fierce Radiance and City of Light returns with a new powerful and passionate novel - inspired by historical events - about two women, one European and one American and the mysterious choral masterpiece by Johann Sebastian Bach that changes both their lives.